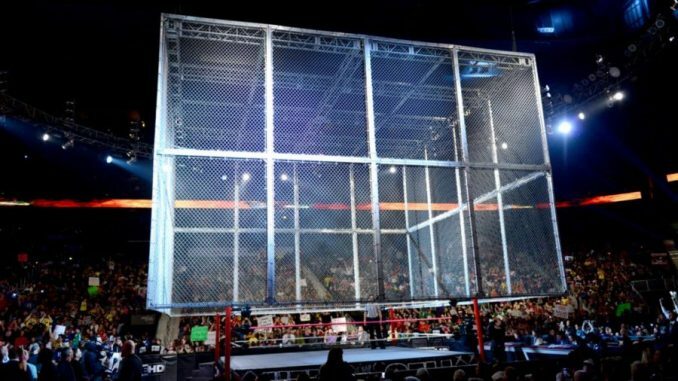 This week at POST Wrestling, we have a stacked lineup of shows with a big POST Show scheduled for Hell in a Cell, including a live video review immediately after the show. Plus, reviews of NJPW Destruction in Hiroshima, Undertaker vs. Mankind from KOTR 1998, Robin Black stops by & lots more. This week at POST Wrestling, we will have another stacked week of shows and will feature a live video review of WWE Hell in a Cell this Sunday. The live video review will be made available for “Double Double” and above members of the POST Wrestling Café with the podcast version uploaded immediately and available to everyone free. Since launching the POST Wrestling Café, we have attempted to streamline the tiers of the Café with “1 Milk 1 Sugar” ($6) reserved for our audio content, “Double Double” ($12) for video content, “Iced Capp” ($25) for merchandise and items you reserve in the mail, and then the “Espresso” tier is reserved for those requesting shows for Rewind-A-Wai with a guest appearance. Wai and I have been brainstorming more ideas for the “Double Double” section and have been producing weekly POST Production videos. The live video review of Hell in a Cell is our first attempt at going live so we hope you enjoy this experiment. In addition, this week will feature the return of “Watch-A-Wai”, which we tried out last month by re-watching the Kenny Omega vs. Kota Ibushi match from 2012 at Budokan Hall. This week, Wai and I will go back and watch The Undertaker vs. Mankind Hell in a Cell match from King of the Ring 1998 with Mick Foley appearing on Raw this week to promote the 20th anniversary of the match and a WWE Network special airing after this Sunday’s aptly named pay-per-view. This video will also be made available for “Double Double”, “Iced Capp”, and “Espresso” members of the Café. For our “1 Milk 1 Sugar” members, there will be no shortage of bonus content this week as Wai & I will have three shows on the Café. We start with “The Double Shot” on Wednesday morning with the return of my Lucha Underground review and Wai will be reviewing the latest “Being the Elite” episode following All In. On Friday, it’s the return of Rewind-A-Wai and Espresso Executive Producer Joshua Martin has chosen the UFC 194 pay-per-view from December 2015 featuring Jose Aldo vs. Conor McGregor for the UFC featherweight title. Joshua will stop by to discuss his choice AND we will also be joined by our former Fight Network colleague Robin Black, who covered this event in Las Vegas and interviewed Conor McGregor several days before the fight and McGregor outlined how he would win that fight. On Saturday, we have another Patreon bonus show as Wai & I will be doing a special POST Show for the New Japan Pro Wrestling “Destruction in Hiroshima” card featuring the IWGP heavyweight title match between Kenny Omega and Tomohiro Ishii, which many felt was the best match of this year’s G1 Climax. The information to subscribe to our RSS feeds and show information is available here.